Chernobyl meltdown, Cassini suicide, Florida man, WikiTribune, blame Canada, Erin Moran's heartbreaking demise, universal basic income in US? Today is Wednesday, April 26, the 116th day of 2017 in the Gregorian calendar, with 249 days remaining. 1,365 days until the end of Donald Trump's term as President, assuming he doesn't resign or is otherwise removed from office. 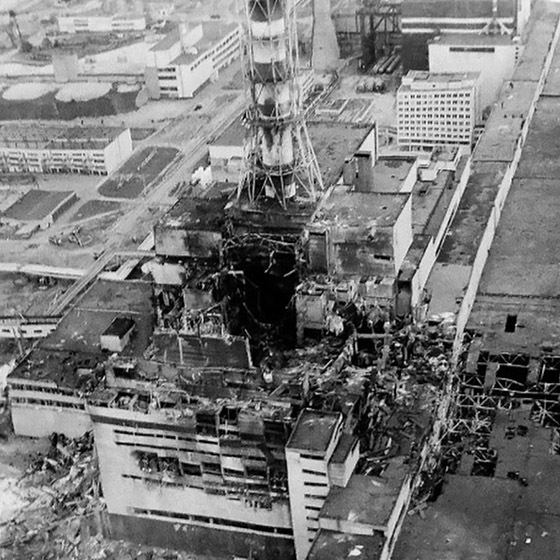 On this day in 1986, the world's worst nuclear accident occurred at the No.4 light water graphite moderated reactor at the Chernobyl Nuclear Power Plant near Pripyat, in what was then part of the Ukrainian Soviet Socialist Republic of the Soviet Union (USSR). An explosion and fire in the No. 4 reactor sent radioactivity into the atmosphere. During the accident, blast effects caused 2 deaths within the facility and later 29 firemen and employees died in the days-to-months afterward from acute radiation syndrome, with the potential for long-term cancers still being investigated. Among other things, today is also Internation Guide Dog Day. Florida man used neighbor's wi-fi to make bomb threats. "Why is this thus? What is the reason of this thusness?" Wikipedia founder Jimmy Wales launches Wikitribune, a large-scale attempt to combat fake news. Wikitribune is not affiliated with Wikipedia or its parent organization, the Wikimedia Foundation. It also seems to be working sporadically. Trump does it again. Who's the first target in his fair trade fight? Canada, of course. The 20 year old Cassini spacecraft prepares for its suicidal dive into the rings of Saturn. "It got so bad so fast. By the middle of February, Erin could no longer speak or eat or drink." Erin Moran's husband writes letter detailing her battle with cancer. Breitbart News' application for permanent congressional press passes was denied on Tuesday, after a months-long attempt by the right-wing news outlet to obtain credentials. How online shopping makes suckers of us all. Well, ok. But at least I didn't have to put on my shoes. Is universal basic income possible in America? Don't hold your breath.